Here at CB Performance Products, we get thousands of emails every week. And since we can't ever seem to have time to answer each one individually (although we try! ), we put together some of the most Frequently Asked Questions. Please take the time to see if your question has been answered, before proceeding to the contact page. You can also consult our Knowledge Base for Technical Information or Volkswagen Information. Q: How do I adjust my valves? A: Adjust your valves with the engine cold and the cylinder at top dead center. Clearance between the rocker arm and valve stem should be .006" (.15mm). Q: I have just bought a new set of points, what should I set them at? A: The breaker point dwell should be set at 44° to 50°. If you don't have a way to check dwell, set the point gap to .016" to .020" (0.40 to 0.50mm). Q: What is the best way to synchronize my dual carburetors? 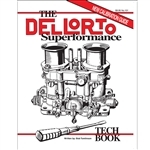 A: Purchase a Weber or Dellorto Tech Book, which you can find available in our online VW Library Warehouse. Complete tuning instructions are included. Q: What should I set my ignition timing at? A: Street applications range from 28° total advance to 30° total advance. Off road applications will vary from 28° total advance to 34° total advance. 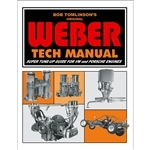 Q: What type of oil filter is needed for a CB Performance filter type oil pump #1791? A: Our #1703 Oil Filter will fit, but if you need to get the part ASAP, then head to your local Auto Parts Store and purchase a FRAM #PH-3600, or a Bosch #3310. Q: How much more horsepower can I expect by installing a CB Performance Gen4 Turbo EFI Kit? A: With a moderate amount of boost, 8-12 lbs, you can DOUBLE your engines horsepower. Q: What can I expect to gain by installing a CB Performance Gen4 Naturally Aspirated EFI Kit? A: You will gain increased throttle response, improved low-mid and high end RPM horsepower. We, on average, see about 10-15% horsepower increase over a comparable size of dual carbs. Crankcase 12mm nuts - 25 ft/lbs. Crankcase 8mm nuts - 15 ft/lbs. Stock 8mm studs - 18 ft/lbs. Chromoly 8mm studs - 23 ft/lbs. 10mm studs - 25 ft/lbs. Stock Type-1 - 25 ft/lbs. Uni Tech HD w/ARP 3/8" bolts - 45 ft/lbs. CB Super Race Rods - H-Beam/ARP Bolts - 29 ft/lbs. Generator Pulley - 40 ft/lbs. Spark Plug - 25 ft/lbs. Oil Drain Plug - 25 ft/lbs. Rocker Arm Shaft Nut - 22 ft/lbs. Clutch Pressure Plate - 22 ft/lbs. Stock Gland Nut - 250 ft/lbs. Racing Gland Nut - 350 ft/lbs. If you dont see it here you may always email our tech department at techdept@cbperformance.com, or consult our Knowledge Base for Technical Information or Volkswagen Information.